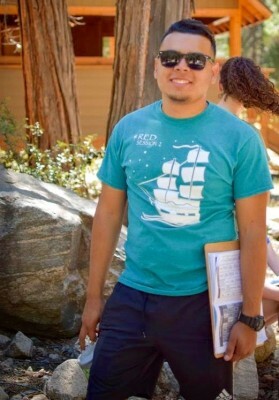 As a transfer student, Franklin, also known as Crescendo, didn’t know anyone when he first volunteered for UCLA UniCamp last year. 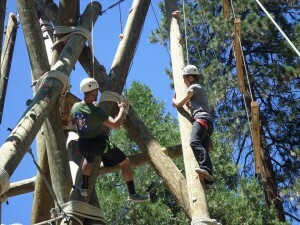 His brother, who had volunteered a decade ago, had a great time and encouraged him to join. Through all the trainings, retreats, and socials, Franklin opened up and started meeting a lot of new, like-minded friends. He prepared as much as he could to give back and work with kids for the first time. Franklin’s first summer as a volunteer wasn’t without its challenges. There were times when he felt the stress and nervousness of being an Alpine climbing specialist for 150 kids throughout the week. Samuel “Safety Scissors” Hsu, one of his co-counselors, and other fellow volunteers were able to provide Franklin with the vital support, mentorship, and guidance needed to become a great camp counselor. For the remainder of the week, Crescendo, Safety Scissors, and their dynamic co-team got into the groove, supported each other during difficult times, and celebrated together on their successes. From that most memorable of weeks, Franklin and Samuel became great friends. 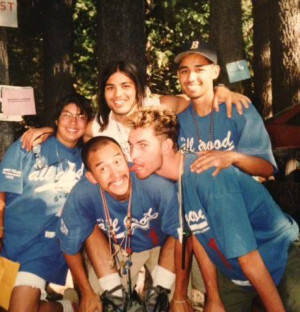 Franklin’s is just one of thousands of strong, lasting friendships made through UCLA UniCamp. 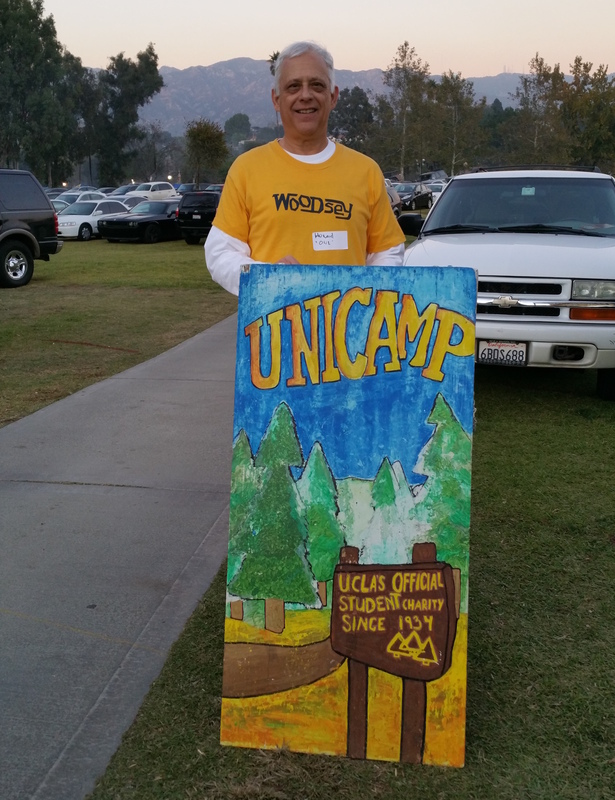 UniCamp is first and foremost about providing underserved kids an opportunity to go to camp. 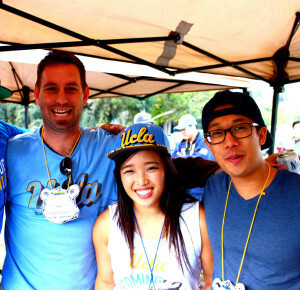 But it is also about the UCLA student volunteer experience: leadership, friendships, memories. As the student volunteers are taking their finals this week and getting ready for camp, we invite you to join us in supporting their work. J. Peter “Pizza” Rich has generously offered to match dollar-for-dollar, up to $25,000, donations through June 30th. We are more than halfway there at $14,500 raised! Please make a donation today to double the support to our dedicated volunteers in their mission to help Los Angeles’ most underserved children this summer. 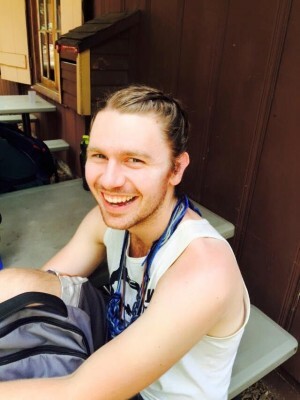 Hi my name is Nyx, I’m a current (2018) UniCorp Volunteer for Session 8 – Transitional Youth Empowerment. This will be my second season in UniCamp as a volunteer. I am also an old camper. 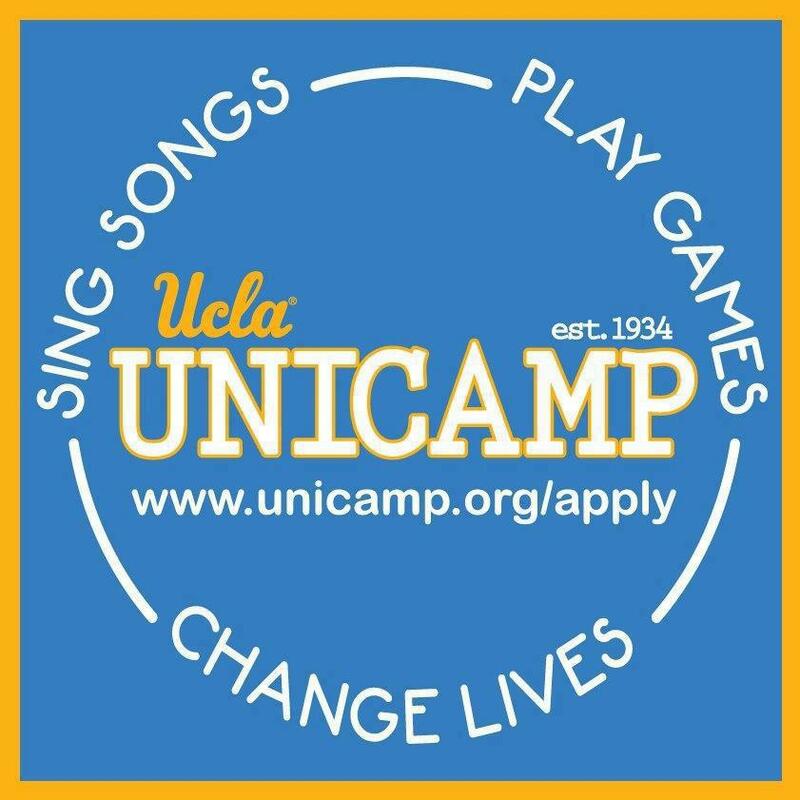 I was first introduced to UniCamp in the summer of 2006, and since then I have taken part in twelve separate sessions as a camper. 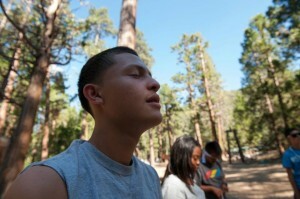 When I was contacted about whether or not I could talk about my experience as a camper, I was stoked. 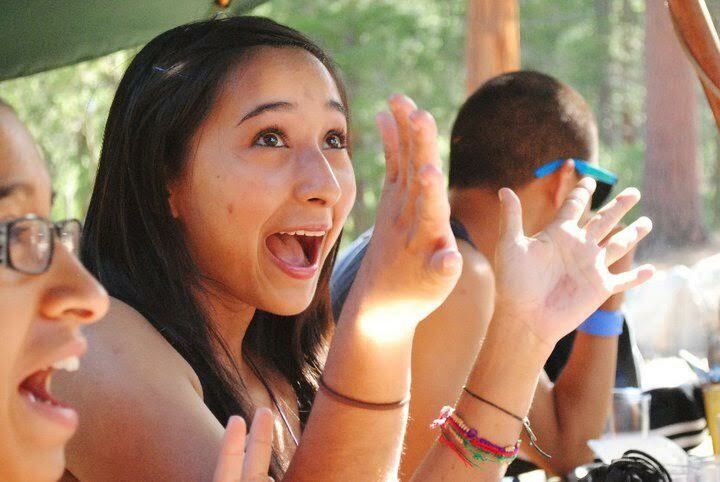 I love camp, and I love talking about camp, but I realized I needed to figure out what I would talk about. How do you summarize 12 sessions or 9 summers in a short speech? Well you don’t, you can’t. Even if every week is at the same location and you have the same overall schedule, there is no replicating any one week. Sure you wake up, go to breakfast line up, eat, do your duties, rotations, repeat for lunch and dinner, then night activities and finally time to sleep. Still, everyday you learn something new. I don’t mean I learned a new academic fact or life lesson, which do come up because well, Bruins and dedicated volunteers are running this, but rather, something new about someone, and sometimes the someone is yourself. My first session I was a quiet but curious little body. Yes, I know I’m still little, but I felt small and a somewhat afraid walking in to camp. I grew up in a strict and small household, where my parents wouldn’t really let us go out or hang out with friends. 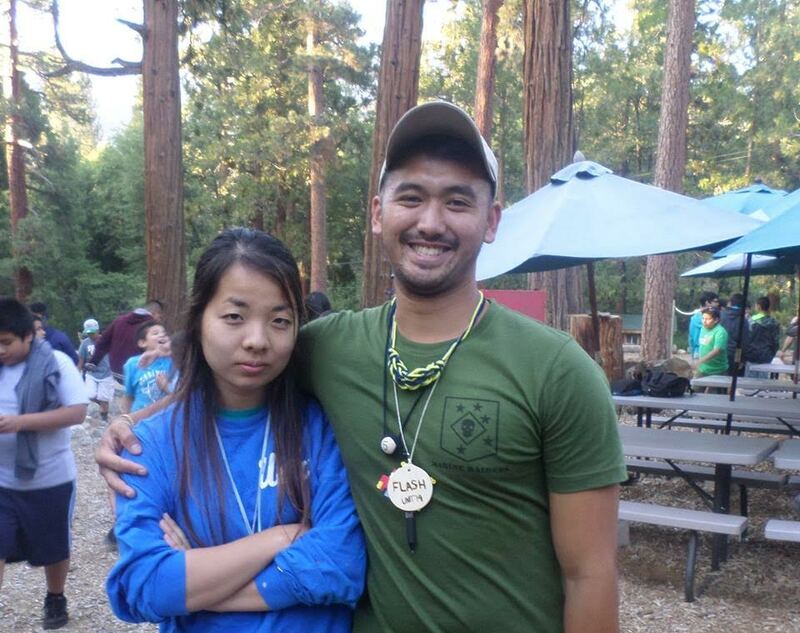 I was genuinely surprised when I found out my mom had signed me up for a whole week of camp, and didn’t know what to expect. UniCamp had advertised at my school so a few of my classmates were there, and was one of my cousins and my aunt. She and I were actually placed in the same unit. You’d think that would give me enough comfort to be louder and explore more, but we were both reserved and used to a different environment. As the week progressed, I started coming out of my shell. I sang along, laughed, made friends, and had fun. I’m not sure if it was the day we got picked up, or a few days after when the family was together, that Serendipity (my aunt), Spearmint (my cousin), and I ended up in the same car, and we were singing “Bazooka-Pooka Bubble Gum” out the window inside a parking structure. Hearing the echoes, it almost sounded like my Woodseys were there singing along. I remember comparing the sound of the river to the noise of the cars passing by in the freeway next to my apartment. Camp withdrawals are definitely a thing. Reading all of these stories has reminded me a lot about my camp memories. 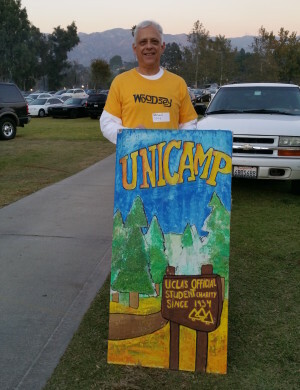 UCLA UniCamp was the first extracurricular activity I did at UCLA and it was the first time I was responsible for people other than my family. 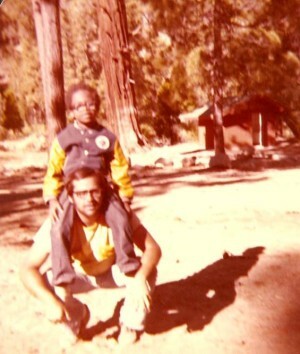 I remember being the only new counselor in my first session in 1975. It was the Exceptional Children’s Tutorial Project session for students requiring special educational services. Having never worked with these types of students before, I really had no idea what the experience would be like. 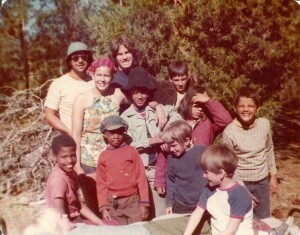 I remember the first night when we had the campers write letters home. I was shocked that the kids couldn’t spell simple words. However, the thing that really stuck with me was that when I volunteered for ECTP again two years later, the kids still remembered me and the activities that we did. I did a few other sessions including boys session and co-ed session. I even floated a few times! 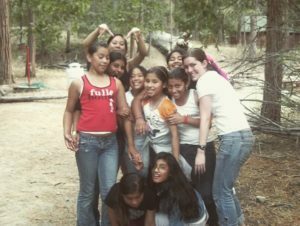 It was through my camp experiences, especially my ECTP sessions, that I found my passion to become a teacher. I was a special education teacher for 6 years after graduation! Since then I have worn out all my Woodsey shirts except for one and I have participated in some Alumni events in recent years! I attended the beach bbq and the football game in 2015! This year I am hoping to make it to the Campfire Gala. Hope to see you all there! Owl is a UCLA alumnus.